leaves have a sour taste. leaves and flowers are safer and tastier when cooked. 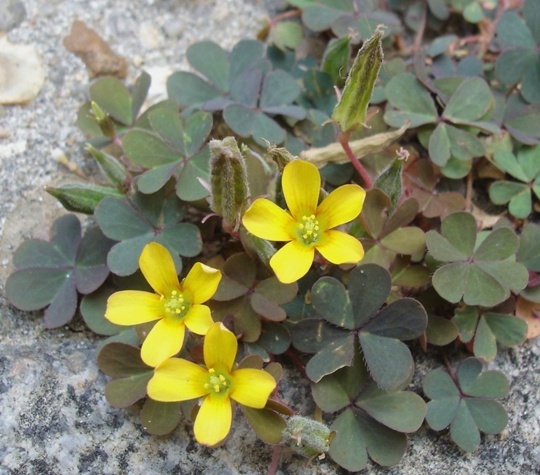 varieties in Ontario are Creeping woodsorrel (Oxalis corniculata), Stoloniferous woodsorrel (Oxalis dillenii) and Upright woodsorrel (Oxalis stricta). raw leaves and raw flowers contain oxalic acid, which can cause nutritional deficiency in high doses.